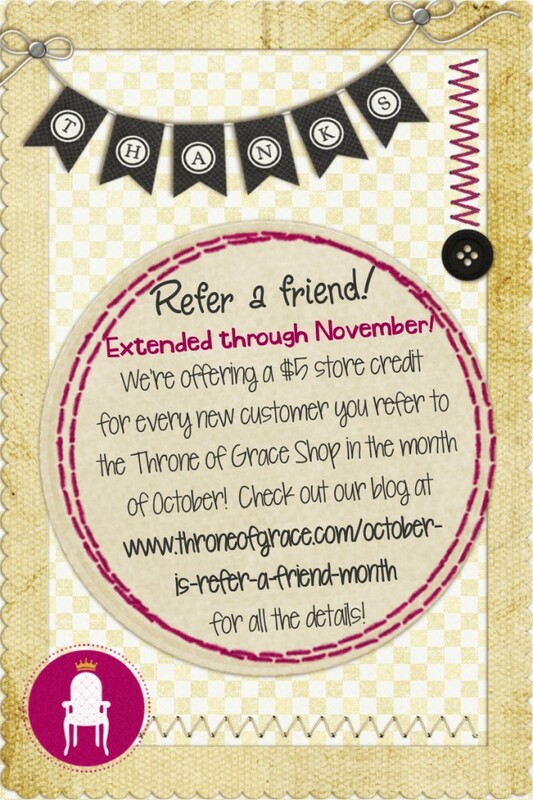 We’ve decided to give our wonderful Throne of Grace customers one more month to earn some store credit! The October Refer-a-Friend Special has now been extended through November 30, 2012. It’s not too late! Share your love of Throne of Grace products with friends and earn up to $25 in store credit to do some Christmas shopping!